The daughter of a friend of ours is celebrating her first birthday today. I thought Baby Bear was the perfect set to use for her card. I have used the same design we taught at the last Auckland Extravaganza but I added balloons to the right hand for more of a birthday theme. 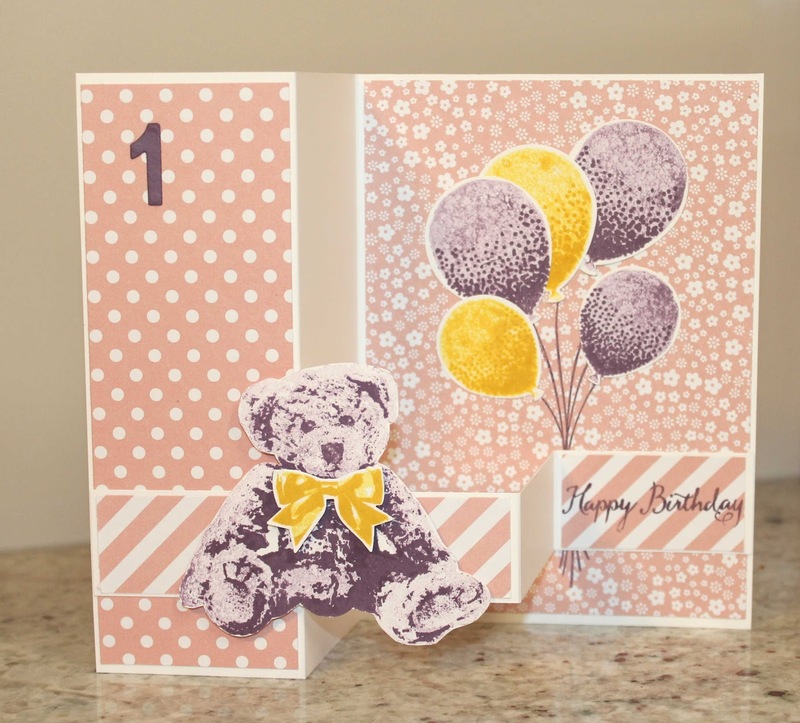 I loved the way the bear turned out stamped all in Perfect Plum (stamped off once for layer 2 and twice for layer 3).